If your company still think that programmer can be hired with high salary, then your company may be outdated. You may wonder that why other company can hired good quality of programmer with normal salary but your company cannot. It is because they not just offering salary for programmer, they also offer non-monetary benefit like free snack, relax zone and others. Nowadays programmer is not so focus on how much they can earn but well they can work in the company. 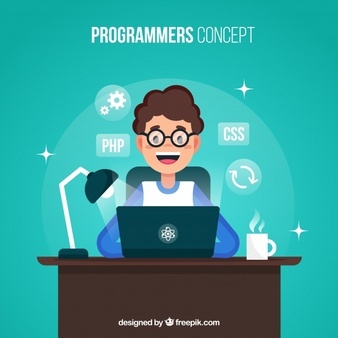 Therefore, try to have more facilities in your company than offer high salary to let programmer think that they can have other activities in company other than just work and work. It is important for company to know about the interest of programmer before tailor job for them. Some of them may like to work with friendly and creative people while some like to work on application that end up getting used by many people. Therefore, try to have lunch or tea time with them and understand their interest through the conversation. Distribute job that match with programmer interest so they can work with more passion and increase their productivity. Many will think that programmer work like machine every time but they are not. Programmer is more like an artist. All your company need to do is to guide them at the beginning of the work and let their creativity fill the solution. Programmer usually have high creativity and they know what they need to do. Therefore, don’t limit their work and give them space that they require when they are thinking innovative solution for problem they facing on their work.